The Vertebrae Earrings are beautiful earrings that are easy to make. They are flattering to the face as they dangle from the ears. They can be in a single color or in two tone. This is a beginner weave. 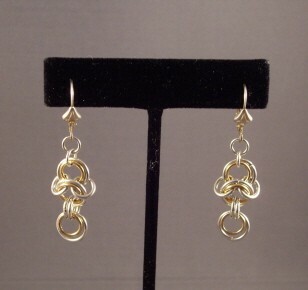 Sterling silver plated leverback earring findings are included in the kit.